I’m sure you’ll been asking if cinnamon can really help in controlling blood sugar. You have all the rights in the world to ask about that because today you hear lots of things and start doubting what the right one is for you. Therefore, it is a must for you to get educated, and then you have to choose the right thing to do. Now, as you may possibly know cinnamon is a wonderful and tasty spice which has been used since the ancient times when preparing various delicious dishes, especially the sweets. 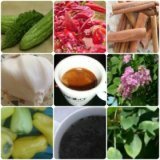 On the other hand, our ancestors used it as a natural cure for several health problems such as anorexia, nausea, flatulence, bloating, and other similar conditions. First, it contains a water soluble polyphenol named MHCP, which mimics insulin function. On the other hand, this component helps increasing the effectiveness of the insulin receptors. Second, cinnamon stimulates the production of insulin from the pancreas (your body organ responsible for insulin production and secretion). Next, cinnamon helps slow down the emptiness of your stomach. In this way your blood sugar levels hardly reach high peak. Various clinical trials have found out this natural lowering blood sugar action of cinnamon. How safe is using cinnamon for blood sugar control? There are different types of cinnamon, depending on the components. The most used are Cassia and Ceylon cinnamon. 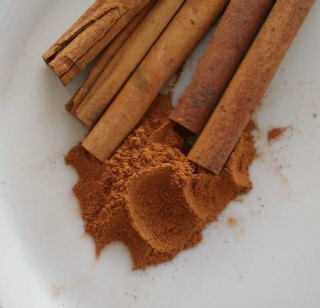 The most common used as a spice is Cassia cinnamon; while the "true" cinnamon (Ceylon) is much more expensive and not well-known. Why all these differences? The answer is "coumarin" content of both of them, which is higher in Cassia (5%) and lower in Ceylon (0.004%). Coumarin can cause severe liver and other health damages; therefore, when a food has high content of it should be avoided. Actually, Germany has prohibited the import and use of Cassia cinnamon according to the risk assesment performed by the German Federal Institute for Risk Assessment ( FIRA ). These are the only concerns for the safety of cinnamon when used to lower blood glucose levels. How to distinguish the Cassia and Ceylon (true) cinnamon? First, when you look at cinnamon sticks, cassia has a dark brown color and very hard; if you put in a spice blender, it might break it. 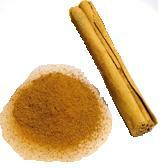 On contrary Ceylon cinnamon has a lighter brown color and can easily break with hands or when using a spice blender. When you taste them, Ceylon cinnamon is sweet and very pleasant aroma; on contrary Cassia has no taste (neither sweet or bitter), and less pleasant aroma. While shopping, is better if you choose "sweet cinnamon" rather than Saigon (cassia) one. How to put cinnamon in your daily menu? It’s very simple. You can pour cinnamon powder in salads or other dishes you prepare. Or even you can prepare a delicious cinnamon tea with additional sweetener (for example stevia or a teaspoon of honey) and have it anytime during the day. Remember: cinnamon cannot help you beat diabetes naturally if you take it alone. You have to do other big steps toward lifestyle changes and choose the right diabetic menu. Other herbs and vitamins and minerals can also help you if taken correctly. Furthermore, their effect is higher if taken altogether, be careful to choose the right diabetic herbal mixture.